Very nice I thought Pyrex had a higher tg? Same story. We was draining LiCl under vacuum and high temperature. The flask is cracked only when it was filled with argon. Any particular reason for the high temperature? I thought molecular sieves activation was supposed to work as well at higher temperatures. Well, pre-drying sieves in a beaker in a regular glassware oven overnight at 150C seems to remove most of the water, so I did that and then I thought I would give it one good push as high as I can, to get my column packing for drying monomer gas into supper efficient mode – we were getting some moisture related impurities and one likely place was a tired drying column with sieves that have not been changed for many years, in my monomer manifold. I meant *wasn’t. J. Appl. Chem. Biotechnol. (1978) 28, 23-30 says they got increasing drying power for wet 1,4-dioxane up to an activation temperature of 250 °C, but then in the conclusions say that “in their experience” 250-300 °C is the best. So they didn’t explicitly test hot enough to find out whether it got worse or not. Confusingly in the rest of the paper they say their standard activation time was 300-320 °C overnight, but that they were actually done in 3 h. Sounds like it doesn’t matter enough to worry about it, but its always nice to know these things for sure instead of just guessing. One thing I noticed – the beads of over-baked sieves get very fragile and dusty. I believe when the sieves are formed from sodium aluminate and sodium silicate, they precipitate as microcrystalline powder; to make beads or pellets, one has to add clay-like binders like kaoline. Over-baking ruins the binder. A coworker was drying mol sieves in a 100 ml round bottom flask in a heating mantle under high vac… The bottom up to nearly half the flask turned completely in, like a cup! A quick and decent way to dry sieves is in a microwave. They get red, glowing hot. I used the one in the lunch room until coworkers complained. Now I buy them fresh from Sigma-Aldrich. For Microwave drying, spread sieves out in several 15 cm glass petri dishes (or similar shallow dish at ~1 cm deep) and microwave 3 x 5 min, with a 5 min cooling step after each “nuking”—A small electric fan placed in front of the opened microwave door serves to both exchange the humid air and cool the sieves…otherwise the microwave’s atmosphere becomes saturated w/ water as its liberated from the sieves, and as milkshake stated, overheated sieves become very brittle. Finally, let cool in a high-vacuum desiccator for ~2 hours and you’ve got super-activated sieves as good as any I’ve encountered, without the hassle of heating mantles or vacuum ovens. I’ll definitely try oven pre-drying next time. I’m hoping for some advice, Milkshake. We want to repeat an experiment that is detailed in Org. Lett. 2007, 9, 4963 from the Sieburth group. The reaction is a Peterson fragmentation of a silacyclopentane (22 mmol) using 48% HF (15 mL) in ethanol (50 mL) at reflux for 8 hours. They don’t mention the use of any special ware (glass or otherwise) for this experiment. What do you think? Can we just do this in a glass RBF with reflux condenser? I wouldn’t want to, but I’m not aware of special plastic setups for heating mixtures to reflux. Of course we’re asking Sieburth too. 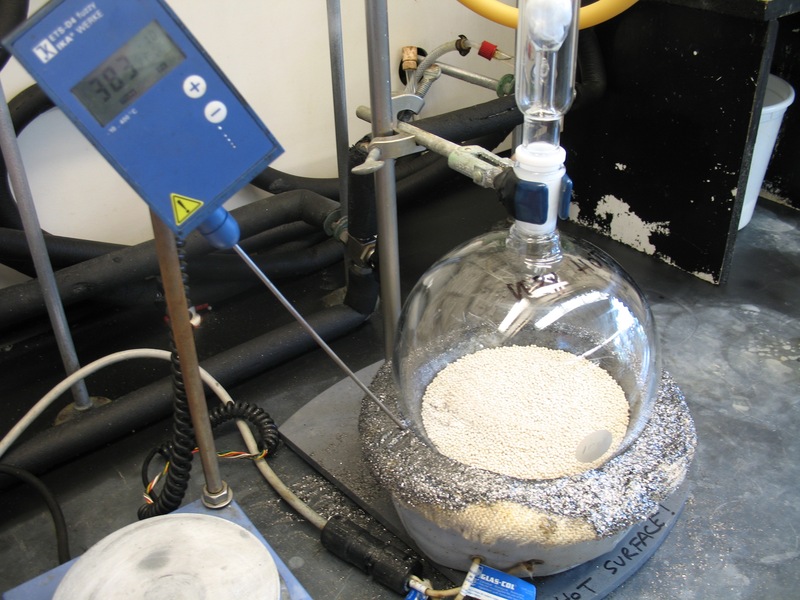 I worked with pyridine.9HF complex and that one definitely eats glass when used neat – a 1L round flask barely withstood it at room temperature overnight; the flask wall got thinned on contact with the reaction mix – the flask was lighter by about 50 grams after the experiment. 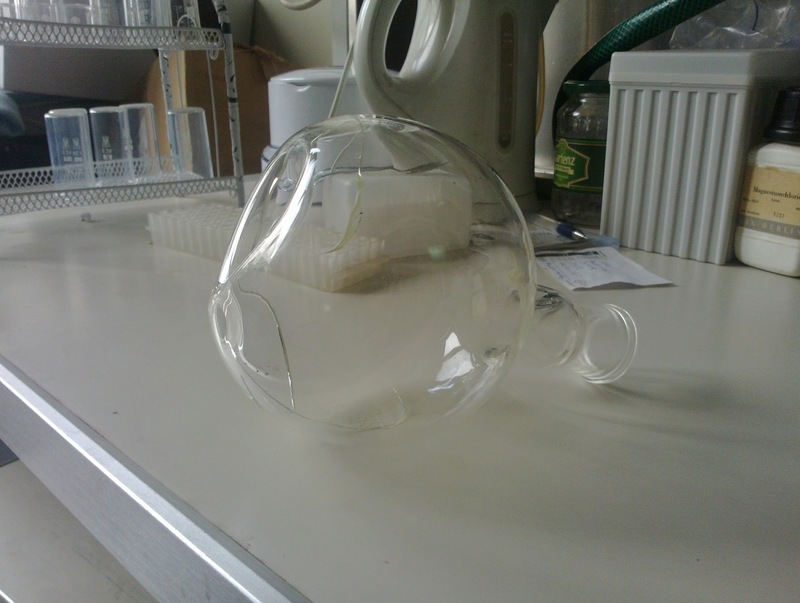 But I have seen some TBS deprotection protocols using 48%HF diluted with acetonitrile, at room temp, and they were using regular glassware for this. Since the teflon flasks are really expensive, and unpleasant to work with, I think the best in your case (prolonged heating with not-so-diluted HF) would be to test it in glass – take some older, slightly crappy flask, tare it, and submit it to a blank experiment., then dry it and measure the weight loss. I expect the flask to hold, the only question is how much glass will dissolve and consume your HF. Glass may hold up better than you think. I wouldn’t count on re-using that flask, though. 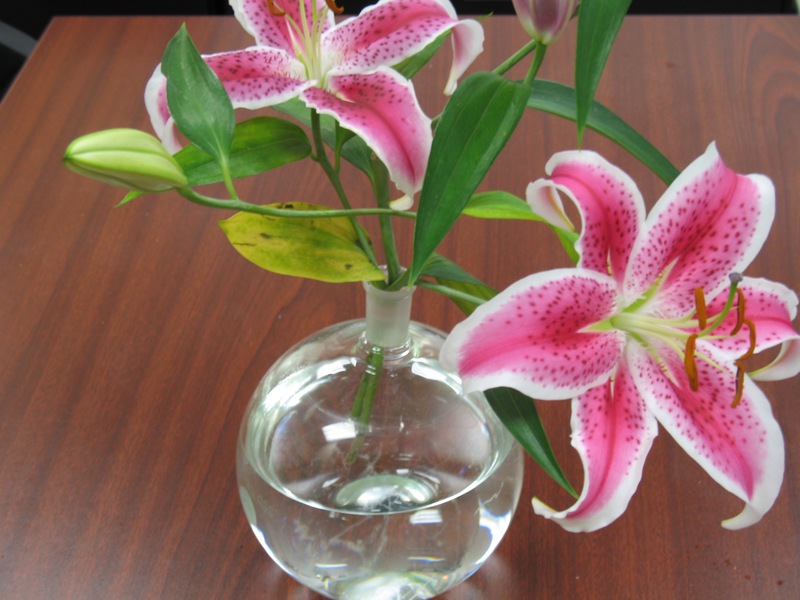 You could also consider using a plastic vessel; polypropylene or polyethylene should hold up well. (Of course, try them at the required temperature first.) Look for used plastic chemical bottles in the lab. It may take some rigging up, but it will work. I know, since I’ve done reactions that generate HF in these bottles before. Notably, a stainless steel pressure vessel should hold up to this pretty well, too. Milkshake, where do you purchase those graphite flakes? I haven’t been able to find any graphite flakes with particle sizes similar to those shown in your setup…They’re either fine powder or ~1 cm or larger chunks.